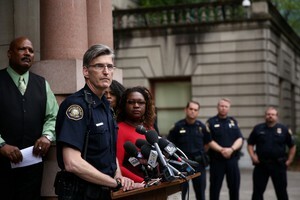 Portland Police Chief Mike Marshman is set on Friday to sign new rules governing how the city’s police officers use force. It’s a critical component of the city holding up its end of a 2012 settlement agreement with the U.S. Department of Justice surrounding how officers use force. But it’s also a step that has quickly become deeply controversial and potentially problematic for Mayor Ted Wheeler. The mayor has pushed for reforms in the police bureau, but those efforts may have also set up the latest conflicts with reform advocates. While many of the new policies coming Friday have broad support across the city, one that would govern how the Portland Police Bureau internally investigates after an officer uses deadly force has drawn resistance from some community members. In March, Multnomah County District Attorney Rod Underhill published a legal analysis that cited a 1984 Oregon Supreme Court ruling. Underhill’s office argued departments shouldn’t compel officer statements in internal affairs investigations after using deadly force. To do so before a criminal investigation is complete, the district attorney wrote, could effectively grant officers immunity from criminal prosecution by violating their right to remain silent. That legal analysis has found its way into the Portland’s new use of deadly force policy, which now states “the Bureau shall not compel statements from involved members without express approval of the DA” except in extenuating circumstances. Still, critics of the policy worry delaying those internal affairs interviews will only keep the public in the dark longer surrounding officer-involved shootings. Some angered by the policy want Wheeler, who oversees the department as the city’s police commissioner, to intervene and order Marshman to prevent the new deadly force policy from becoming official. Despite the growing controversy, Wheeler’s office said the mayor won’t delay implementation. “I find it inexcusable that they’re even proposing a policy that basically says, ‘Police don’t even have to tell you what happened until after the DA has cleared them,’” Hardesty said. The Multnomah County District Attorney has only once in recent history brought charges against a Portland police officer. In 2011, Dane Reister became the first Portland officer indicted for using force while on the job. “So, what are we protecting?” Hardesty said. 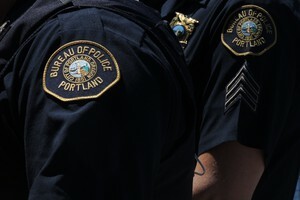 For some, the DA’s memo that in part prompted the new policy stands in contrast to the city’s settlement with the federal Department of Justice, which requires the Portland Police Bureau to conduct administrative and criminal investigations concurrently. 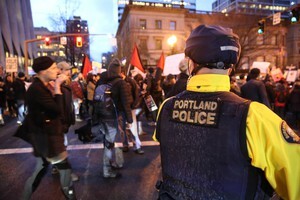 “At some point, the city, the federal Department of Justice, the Multnomah County District Attorney will have to be able to explain this to the public,” said Constantin Severe, the director of Portland’s Independent Police Review. Severe said he too would like to see Wheeler hold up the deadly use of force policy. “Up to this point, I have not heard a credible argument from, particularly, the Multnomah County District Attorney’s Office that will meet the public’s expectation that there will be a robust criminal and administrative investigation,” Severe said. But Severe argues that’s not a concurrent investigation and violates the DOJ settlement. “You can’t really truthfully call that an administrative investigation if you are not talking to the most critical person to that event until 30 days or several months after an incident,” Severe said. Underhill countered that even if officers were compelled to make statements early on in an internal affairs investigation, those same investigations rarely — if ever — become public. Under the new policy, officers who use deadly force also won’t be required to complete a use of force report until after the criminal investigation is done. What Prompted The DA’s Memo? The mayor’s spokesman said the DA’s interpretation of the law is the best, most current one out there. 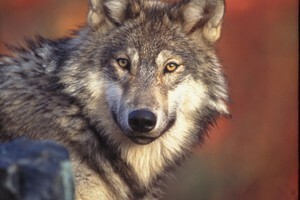 “We took an oath to the Oregon Constitution and would be derelict to not follow (Underhill’s) understanding,” Cox said. Wheeler favors interviewing officers during administrative investigations as quickly as possible and even campaigned for the mayor’s office on that position. On Feb. 9, after PPB officers used deadly force twice in the same day, Wheeler demanded compelled statements from the officers within 48 hours. But ironically, Wheeler’s actions — at least in part — prompted Underhill’s March memo. “As we’ve moved into this calendar year, I believe that that IA side — (the) administrative, compulsory interview of the involved officer — has gotten in front of the criminal investigation,” Underhill said. 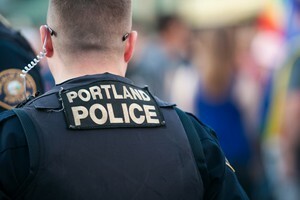 During a use of deadly force incident in May — after Underhill’s memo —the Portland officer who was involved was not compelled to provide a statement to internal affairs until after the criminal investigation was done. Wheeler’s staff is in the process of drafting three ordinances to bring before the City Council in August, Cox said. While he declined to offer specifics, Cox said one would propose amendments to the DOJ settlement. “Another would change city code, and a third would establish a public engagement process around public safety issues,” Cox said. In addition, Wheeler is looking into whether Underhill’s interpretation of the 1984 Oregon Supreme Court ruling is correct, or if there’s a way to effectively wall off an internal investigation from a criminal investigation. The mayor’s office is also exploring whether there are “other procedural changes we can make to the way internal investigations are conducted that will satisfy our desire for a quick interview while protecting a criminal investigation,” Cox said. U.S. Attorney for Oregon Billy Williams is intimately involved in ongoing settlement mediation with the city. He said he respects Underhill’s perspective. “I do not want to, at this point in time, take a position opposing his position because I don’t want to jeopardize any potential future prosecution,” Williams said. The Oregon Department of Justice has also reviewed the memo and determined the analysis by Underhill’s office is legally correct.